This flexible flat cable (FFC) Specialised Business Unit was formerly acquired from Sony Chemical & Information Device Ltd, Japan. Our affiliated manufacturing business unit formed as part of the supply chain of Sony Chemical dated back since 1996 to take care of FFC's back-end manufacturing processes. From 2008, after the acquisition, our Digipas group (formerly known as Ventura) has inherited the entire FFC business unit from SONY. Since, we are positioned in the forefront as one of the global leading FFC manufacturers. In 2009, we re-branded FFC products to Ventura V-flex® and our R&D team has further innovated newly patented FFC products to continuously provide added values to our customers in various industries such as consumers AV entertainment systems - Sound Bars, Bluetooth Speakers, LED/OLED TV, IoT-enabled Devices, Ink-Jet & Laser Printing, 3D Additive Printers, Lap-top PC, automotive GPS/Navigation & Audio Systems, Optical Drives, Electronic Point of Sales (EPoS) and automation. 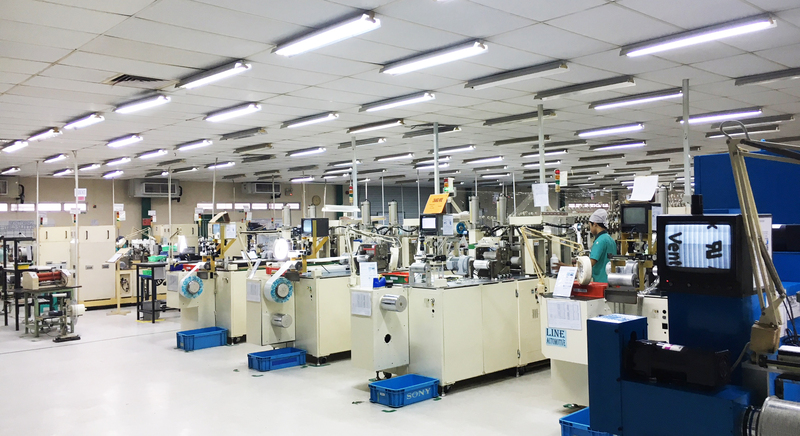 In 2012, we continued to acquire the FFC manufacturing machinery and equipment from Hitachi Cable Malaysia and Hitachi Cable Singapore, to build up our FFC production capacity and we have since become the region largest Flexible Flat Cable manufacturer. In 2014, we further acquired FFC's Gold-Plating equipment from our Singapore's supplier to integrate gold-plating production process as a One-Stop Supply of high-end customised FFC to effectively reducing leadtime, cost, enhancing quality and reliable supply of FFCs as well as delivery speed. Essentially, we have completed consolidating a major source of FFC supply in South East Asia region and have built a high production capacity of over 100 millions FFCs annually, offering a variety of products range to better support our global as well as regional customers. V-flex® Flexible Flat Cables are manufactured to UL standard having very thin, flexible and light weight, yet compressed with high conductor density and are easily mated to a connector for interconnect. These FFCs are widely used in electronics and electro-mechanical products ranging from consumer mobile devices, commercial equipment to industrial machinary.